Are there too many public information officers (PIOs)? Share your take by signing up to write an article for ELGL. 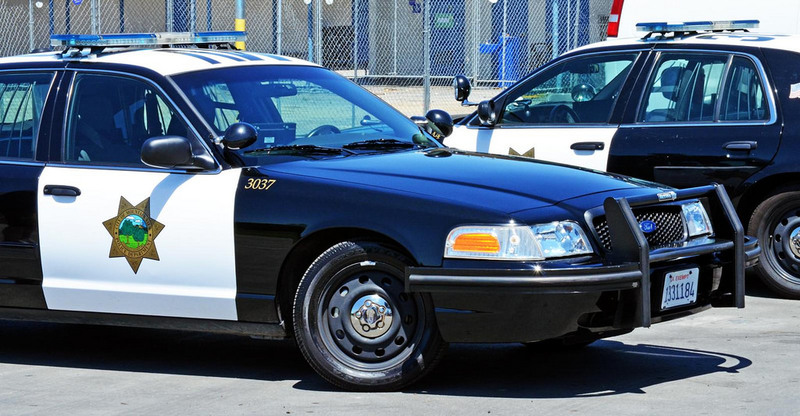 In this article, Katie Nelson and Chris Hsiung write about what they’ve learned while working for the Mountain View Police Department. Katie is the Social Media and Public Relations Coordinator and Chris is the Police Captain for the Field Operations Division. Continue the discussion in the ELGL Facebook group. There’s absolute truth to the fact that social media has leveled the playing field in terms of telling your story, both from a journalistic perspective and from a government perspective. More so than ever before, dedicated roles to sharing and providing information are popping up in agencies across the United States, with social media managers and public information officers working to not only connect their organizations with their communities, but to guarantee their agency communicates with journalists. As the turnover rate in journalism continues to persist, social media has become a tool that initially connects, but one that should never substitute for personal networking. The foundations of solid working relationships between journalists and government agencies are ones that need time, attention, and respect. This effort, without question, often defaults to a public information officer. They are the ever-present middle man, but one that should and can work to connect reporters and subject matter experts within an organization. The role of this individual is to provide the public with information. Your public often includes your local media representatives. It is your job to ensure you do all you can to make that happen, every time. That being said, to hear that a recent study suggested reporters see public information officers as detrimental to their ability to gather information and report a story is not only disheartening, it’s grossly misguided. Public information officers are the necessary conduit to ensure a reporter gets what they need (or speaks with the right person) in as timely a fashion as possible. A PIO’s whole job is to help media representatives tell their stories. Without someone dedicated to ensuring that information is shared, both with the public and with journalists, the disjointedness and the rampantness of rumors would escalate quickly and be difficult, and more than likely impossible, to diffuse. As a former journalist in the Bay Area, I could not have been as successful without the trust, faith and respect I had with local public information officers. And that was not something that just came about — I had to make the effort to make that initial connection, and then I had to work at it. As we learned about one another and relationships were forged, it was the PIO who facilitated further successful connections between myself and other members of their organization. In a society where terms like “fake news” and “rumor mill” are everyday utterances, should we not be working together to ensure those terms become obsolete? Should we not be working together to ensure that the whole story is told, and that assumptions and misunderstands are corrected quickly to prevent further instability? Public information officers work to ensure that information shared from their agency is factual, straightforward, and thorough. They are oftentimes the only person who can make that happen under a deadline. Others in an organization are not necessarily beholden to the job of information-sharing, or their collateral assignments prevent them from working with journalists in a timely fashion. They may not always understand the nuances behind public records acts, nor may they understand what can or should be released during an ongoing investigation. PIOs work to keep information streams flowing, and they work to make sure journalists get quotes, context and analysis as often as possible. Journalists have a finite amount of time and space to tell a story, and quite frankly, they often have little or no time to watch the feedback, or perhaps follow up, on stories (a job that also falls onto the public information officer to do in addition to working with journalists in real time). The journalism industry, at this stage, often requires its workers to keep moving, to go to the next story. Very few are able to dig into a story and search all angles — most journalists just don’t have that luxury anymore. Though, they should. A blanket statement that public information officers inhibit a journalist’s job is as misguided as saying all journalists don’t report the facts. We all seem to operate in a culture where “one size fits all” statements are not only allowable, they’re believed, and that’s dangerous. In truth, a vast majority of journalists do all they can to do their job right. They work hard to ensure they have solid working relationships with the various agencies they cover. They work hard to ensure their reporting is accurate and fair. In turn, public information officers make remarkable efforts to either connect journalists with sources or ensure that they provide them with as much as they are able. Combative relationships with media representatives (and with government agencies) should be an anomaly, not the norm. Both sides should be held accountable, but both sides should also understand that jobs are being performed and that should be respected.